In year 4, the children have been listening and re-creating the music of the Rainforest. In Thematic, we have been learning about the different floors of the Rainforest. We have made a diorama working in groups to help us to understand about them . In year 4, the pupils have been learning about the Rainforest. We have explored where rainforests are located in the world and learning about he animals that live in the Rainforest. In year 4, we have been studying about Ancient Egypt. WE have really enjoyed making Egyptian paper called Papyrus. 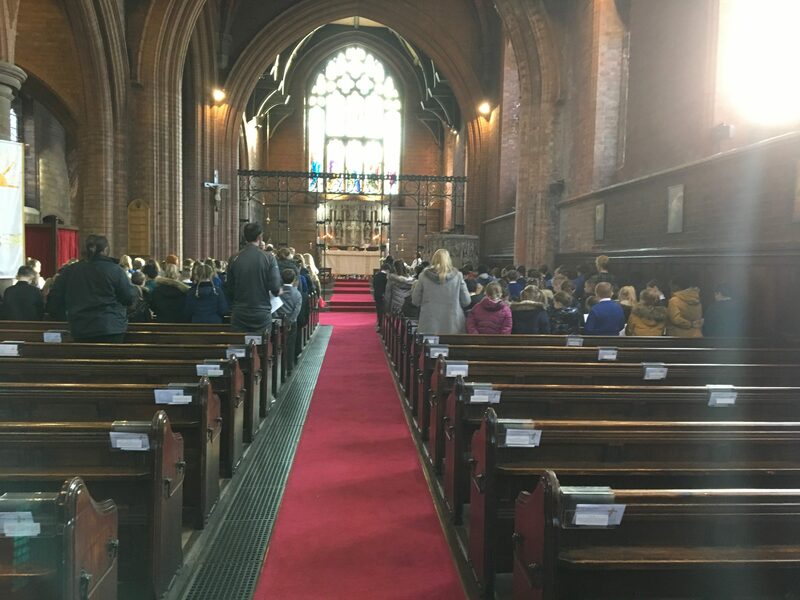 On Tuesday 9th October 2018, Year 4-6 visited church for Mass where the children who had been confirmed received Communion. Year 4 are learning about Flat Stanley in English. Here are some examples of some excellent work that the children have produced. On Friday 4th May, two Leigh Centurion’s players visited our school and after the assembly year 4 were lucky enough to play rugby with Reece Evans and Greg Richards. In our Rainforest topic, we were learning to classify different animals. We have been learning about European rivers, landmarks and mountain ranges. What can you remember? Look at our fantastic interactive posters about the Rainforest. We all enjoyed learning about this interesting topic.